Available to perform with the St. Louis Big Band but booked separately. Get IN THE MOOD to SING, SING, SING, as the Miller Sisters of St. Louis, MO hit the stage with vintage Hollywood glam and show-stopping pizzazz. They may not be related to Mr. Glenn Miller, but their tight harmonies and classy retro costuming, will take you on a SENTIMENTAL JOURNEY back to the Golden Age of music, because IT DON’T MEAN A THING IF IT AIN’T GOT THAT SWING. Don your string of pearls, and climb aboard the CHATTANOOGA CHOO CHOO to catch the act. 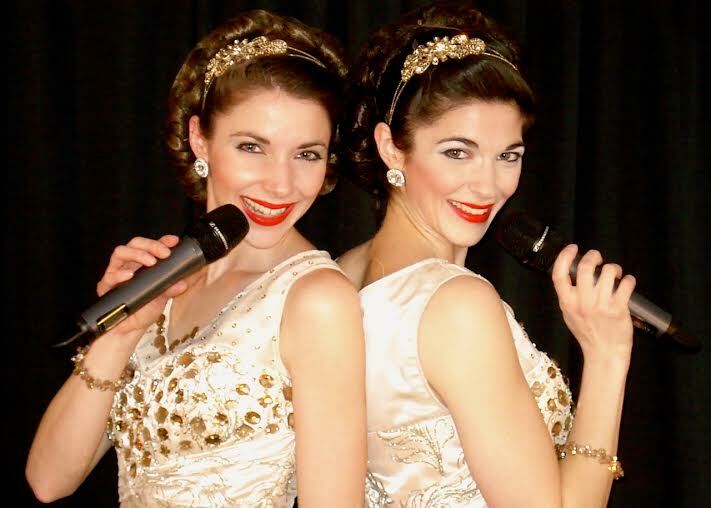 Hits of the retro silverscreen and radio have exploded back onto stage for the world’s greatest encore as Gracie & Lacy salute the finest crooners, tap dance extraordinaires, and radio personalities of the Greatest Generation. Gracie & Lacy offer 20 min. & 40min. shows that are perfect for dinner entertainment or while The St. Louis Big Band is on break. *Please note that Gracie & Lacy performances must be booked through Gracie & Lacy. The St. Louis Big Band DOES NOT book Gracie and Lacy.